Dental implants are a revolutionary innovation for individuals with missing teeth. Usually crafted from titanium or titanium alloy, dental implants serve as artificial roots onto which replacement teeth can be placed and stabilized. • Increased Confidence — Missing teeth can lower your self-esteem and keep you from smiling. With dental implants, you can flash your biggest, brightest smile with confidence because your new teeth will look beautiful and natural. • Clearer Speech — Removable dentures can fit poorly and slip out of place. This in turn can cause mumbled or slurred speech. With implants, you can clearly enunciate your words without fear of a denture dilemma. • Comfort and Convenience When Eating — Ask anyone with removable dentures and they’ll probably tell you there are some foods they can no longer enjoy. With implants, you can eat whatever you want with confidence — even corn on the cob! • Freedom from Adhesives — With traditional dentures, adhesive is required to keep them in place. Even leading brands may not hold as securely or for as many hours as you need them to. With dental implants, the hassle of denture adhesives is a thing of the past. • Better Oral Health — With implants, existing teeth can remain right where they are. This allows for better oral health in the long-term. And, individual implants allow easy access to adjacent teeth for easy brushing and flossing. 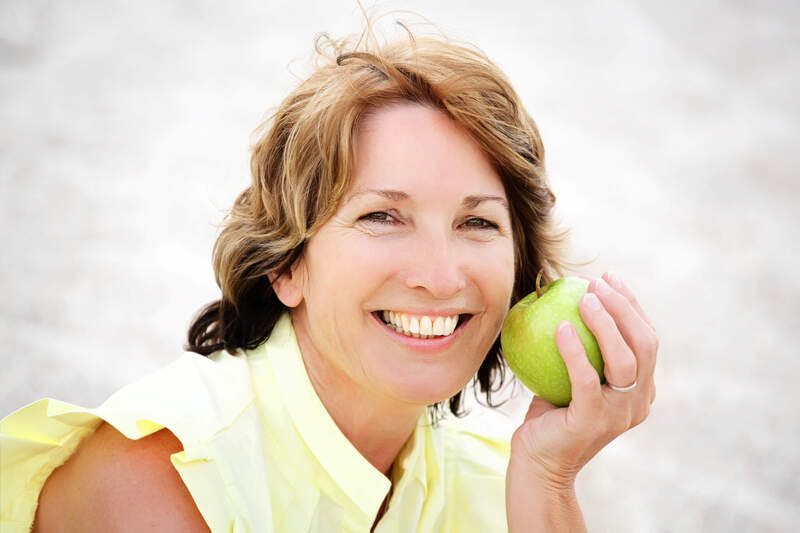 • Lasting Results — It’s not uncommon for dental implants to last a lifetime. However, it’s important to choose an experienced implant dentist who can place and maintain implants properly. Dr. Ritter provides dental implant placement and restoration in the Towson neighborhood of Ruxton. Dr. Ritter has patients of all ages. Comfort and relaxation is important for patients undergoing dental procedures. At this office, the Zen-like atmosphere and warm, welcoming staff put patients at ease from the moment they walk through the door. Dr. Ritter’s staff has been with him for over 20 years, so you can rest assured that you’re in good hands! Formerly the host of his own radio show called “The Medical Hour,” Dr. Ritter offers insightful solutions for those looking for the best missing tooth solution. He offers implant-supported dentures, individual implants, and other options for patients who need teeth replaced. If you’re dental-phobic, don’t worry — Dr. Ritter and his staff are dedicated to patient comfort and use nearly-painless ‘Wand’ injection technology. In addition, this office can provide nitrous and/or oral sedation for patients who prefer this option. If you do opt for conscious oral sedation, don’t forget to bring a driver as this medication will leave you drowsy for a few hours after the procedure.